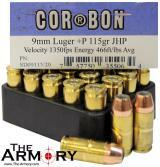 The Armory stocks 9mm | 9x19 Luger ammo in box quantities and cheaper 9mm bulk ammo offerings. As one of the most popular calibers available for handguns, the 9mm cartridge was designed by Georg Luger in 1902, giving the 9mm its common associated name of 9mm Luger. As a standard cartridge for the NATO and non-NATO forces, the 9mm is also used by more than 60% of police officers in the United States. Credited for making semi-automatic pistol sales skyrocket over that of revolvers, the 9mm, also referred to as 9x19mm, effective in self-defense and police uses as well as being low cost and widely available. Read more about the cartridge on the 9mm wiki. 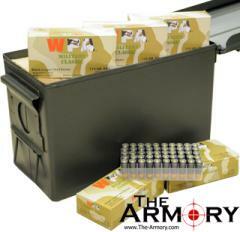 The Armory stocks a large selection of cheap 9mm ammo and bulk 9mm ammuntion. Make sure to check our additional pages of 9mm ammo for sale and save big when you buy bulk 9mm ammo. 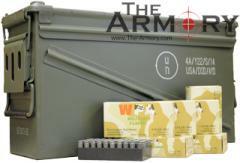 Let The Armory be your primary source for cheap 9mm ammo in bulk or single box counts. Cheap 9mm Ammunition for Sale | 9x19 Ammunition for Sale if the 9mm ammo you are looking for is not in stock, please click the "Notify Me" button so you can receive an email when the ammunition is back in stock.